Welcome to the Law Office of Tina R. McDonald. I am an attorney serving clients in the North Alabama area. I pride myself on close personal attention to each and every client, to keep clients informed of the status of their case and respond to their case inquiries promptly. 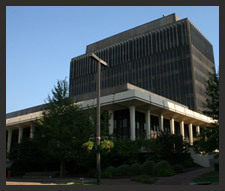 My office is conveniently located across the street from the Madison County Courthouse in downtown Huntsville. To my clients, I offer faithfulness, competence, diligence and good judgment. I will strive to represent you as I would want to be represented and to be worthy of your trust.